We'd like to think that we're perceptive enough to know pollution when we see it - but the truth is that fields of green can hide a wealth of environmental liabilities under the surface. One of the least visible yet most destructive forms of pollution, soil contamination comes with the promise of long-term damage and a difficult clean-up. The concealed nature of soil poisoning lends to it being buried in the public discourse - with talk of pollution usually focusing on ultra-visible incidents like the Beijing smog-o-sphere or oil spills. The last 5 years have seen China's government becoming increasingly proactive and vocal about the air-related environmental liabilities that have been plaguing their lands - though not so much attention has been diverted to their soil issues. In 2013, a lawyer by the name of Dong Zhengwei requested data from a 2006 large-scale soil survey, only to be told by the government that it was a "state secret".1 Though the Chinese government had historically been more on the secretive side, the lack of available information on China's soil - especially considering the state of the skies - was disconcerting to those who live on Chinese land. It took the extreme visibility of China's pervasive metropolitan smog for the government to take an open stance on air pollution - so what would that mean for China's obscured soil issues? It's not uncommon to see industrial plants and factories bordering crop fields - though it usually means a short life-span for the latter. 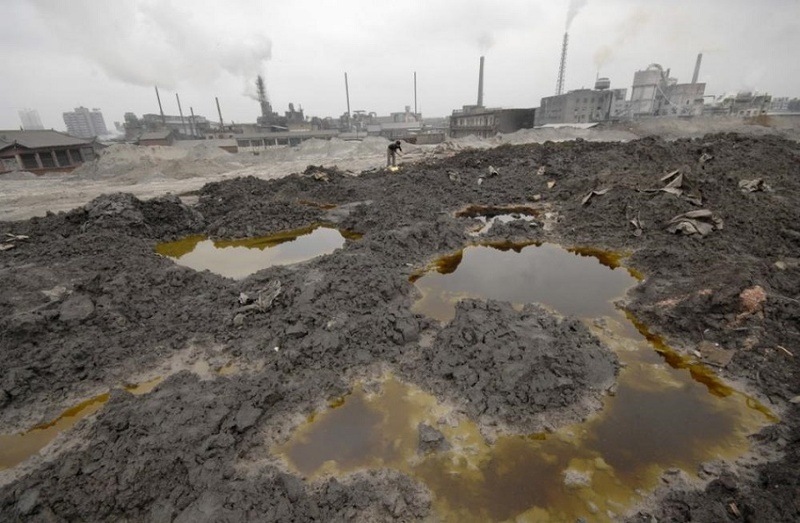 Prompted by the publicity of the "state secret" affair, China's government opened their books on soil pollution in 2014. 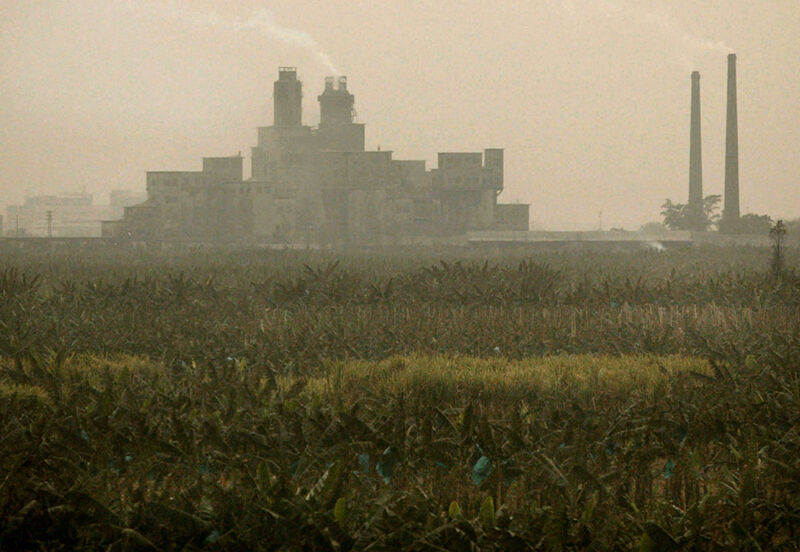 The findings were startling: 20% of China's arable land was contaminated by heavy metals. Prior to this revelation, even the most pessimistic estimates put China's land pollution levels at 10%. This isn't just trouble for the rapidly-growing population of China, but could prove to have lasting consequences in terms of international trade. Declining food production may mean a greater reliance on importing food that can no longer be grown on home soil. Already, China imports over 4% of the world's total grain production.2 The global food production system is one that is already becoming strained from population growth and global pollution, and China's increased reliance on this system could have some unforeseen results. As it stands, China's arable land per-capita numbers are below half of the global average.3 Those ratios are dwindling from both ends, as China's population is booming while land pollution has been increasing. After years of rapid industrial expansion, China has finally begun to crack down with stricter standards on the industry's cadmium, arsenic and lead levels that are rendering surrounding farmlands essentially unusable. The problem is: soil clean-up is notoriously difficult - and with a food crisis potentially looming around the corner, China may have to find a balance between investing in food factories (while drastically cutting the pollution output) and investing in the much-needed remediation of its lands. Curious about how your company can effectively manage its environmental liabilities? Give us a call at (888) 838-7765 EXT. 15 or check out our software rundown here!